Tanzanian President John Pombe Joseph Magufuli has rallied for the industrialization and infrastructural development of the region – saying it held the key for the transformation of the United Republic of Tanzania and the entire region. Magufuli made the remarks while addressing the 4th Meeting of the 1st Session of EALA. The President said time had come for the region to “think big and beyond parochial issues” and urged the regional Assembly to take a central role in ensuring the full integration and development of the EAC was realized. President Magufuli who addressed the House in flawless Kiswahili, reiterated his remarks by saying the region was resource rich but citizens were yet to benefit from the same and called for removal of barriers, injustices, imminent suspicions and fears of the region. 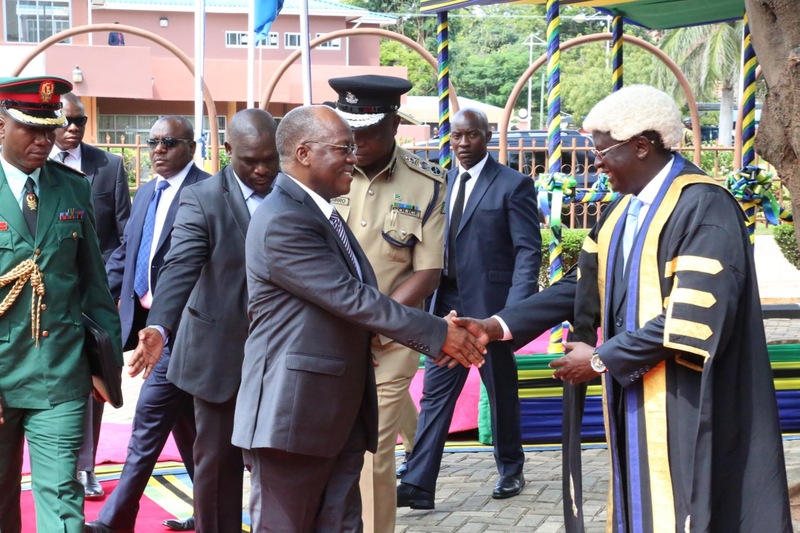 “Let me take the opportunity to make the clarion call to EALA today to rise up to the occasion and be a people’s Assembly that is truly-centred on addressing their problems”, President Magufuli said. The President further reiterated his country’s commitment to the EAC. “We are totally and fully behind the integration process and we shall fast-track decisions we take for the benefit of the regions”, he remarked. The President said the EAC must add value to its raw materials. He cited the Republic of South Sudan, that it has loads of Oil. United Republic of Tanzania on its part, has various natural resources, including livestock, forests and minerals among others. “We as a region are rich – but we do not feel the trickle-down effect. Why? he pondered! The region should add value by processing raw materials to the end in order to create employment and build stronger, efficient and better economies”, he said. My Government is committed to enhancing industrialization in order to encourage regional investors to invest right here in Tanzania. We need to protect our home industries and tap in to the same for the benefit of the region which has over 170 Million citizens”, he added. The President further cited infrastructural developments and the revitalization of the energy sector as key ingredients to speeding transformation. “The cost of transport and energy is too high”, lamented President Magufuli, resulting in situations where the costs of travel had scaled up almost four times in comparison to other regions. According to findings by Power Africa in 2015 results show the region only has 6500MW which cannot entirely support the region’s development. In that regard, the President called for other alternatives to be sought. “We must reverse the trend and assist the region. I challenge you Mr Speaker and Members to see what you can do. He remarked that natural gas and the rare helium gas were available in Tanzania and said such benefits should for example be spread across the entire region. The President said the alternative energy initiatives would assist boost the national grid adding an additional 2100 MW which would be sold in the region. “As Tanzania, we shall do our part,” he said. The President hailed and acknowledged the Speaker and Members for making it possible for him to deliver his inaugural speech to the House. “I thank the Speaker for the decision to bring the meeting to Dodoma for the very first time and noted the idea of the rotational principle by EALA would go a long way in creating awareness of the citizens. I welcome you to Dodoma and wish you well, the citizens here are very hospitable,” he remarked. The President pledged support to the Speaker and the EALA Members and assured them of his unreserved support. The President however remarked that the Assembly was the voice of the citizens of the region at a time when the region was facing progress and surmountable challenges. The President remarked the region was on the verge of removing all Non-Tariff Barriers to further boost volume of trade. He said the progress in the region included the expansion of Membership (EAC) and called for strengthening of the integration process further. In the regard, President Magufuli appreciated the decision of the House to debate on the East African Monetary Institute Bill, 2017 acknowledging its contribution to the quest for the single currency. Magufuli also acknowledged the decision by the Assembly to visit the Northern and Central corridors, for which the House had already debated. President Magufuli remarked the region should resolve the conflicts stalling the integration process and implored EALA to contribute to the solutions. “I urge you to critically look into the existing challenges and address the same. The President rallied for commonalities and unity as exhibited by the Summit and the top echelons of the region. “We need to get to a point where there is unity and oneness. I am impressed by the sitting arrangements in the Assembly today which is devoid of groupings in nationalities” he said. “But this must transcend to the rest of the citizenry,’ he added. 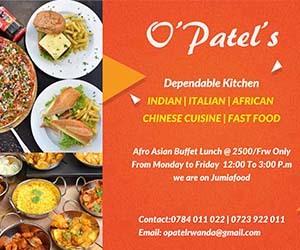 The Head of State rallied for unity and remarked that Kiswahili must be appreciated at all times in addition to the local dialects which cut across the region. The President said Tanzania was equal to the task of completing the expansion of Dar Port and the Standard Gauge Railway (SGR) which he stated, would link Tanzania to Burundi and Rwanda as well as to the DRC and Uganda. The country is also looking at the renovation of its maritime and especially the boat infrastructure in the Lake Zone. Let us be project-oriented and seek home grown solutions for the same. The conditionalities for development partners may not always be suitable. We can do this ourselves”, he said in reference to the 700.2 Km link of Dodoma to Dar at the cost of 700 Trillion without any development support. “Neither did we receive loans for the purchase of the new airlines. It is thus possible,” President Magufuli stated. The President further cited his country’s uptake of the e-international passport and the ratification of the Peace and Security protocol as true reflection of Tanzania’s commitment to decisions by the bloc.